I am looking forward to picking up some free nail polish this week if I can find them for .99 cents each. Pop Tarts are also a low price. Don't forget to scan your CVS card at the coupon machine before making any purchases (at select locations). Check your local ad to see the entire ad and sale prices. 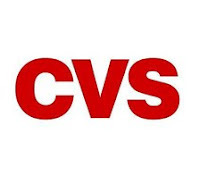 Take a CVS Flu Shot quiz here to get $5 off $25 coupon. Sally Hansen Nail Color, $0.99 (BOGO) GREAT DEAL!! $0.50/1 Sally Hansen Nail Color printable COUPON APPEARS TO HAVE RUN OUT! Might be able to get this for FREE after coupon! $1 off Wheat Thins Crackers (Firefox link here) (InternetExplorer link here). $0.25/1 Pepsi Product printables COUPON HAS RUN OUT! Possible FREE after 2 coupons!